A pocket-sized helicopter drone that’s been used by a select number of soldiers in real-world operations now might become standard kit across a multitude of platoons in the Army. The Army awarded a $40 million contract to FLIR Systems to provide the “Black Hornet” personal reconnaissance systems under the Army’s Soldier Borne Sensor program. It was first purchased by the Army in small quantities to meet recon needs of troops in Afghanistan in 2016. It weighs 18 grams, can shoot video and take snapshots with its camera, and previous versions had about a 25-minute flight time. Many mini-drones can only shoot video. 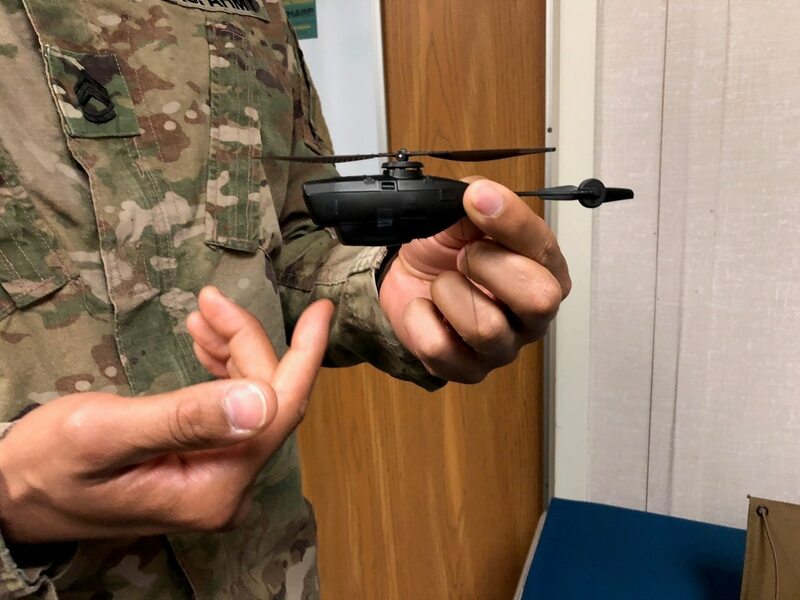 The Black Hornet mini-drone has been in use by soldiers and Marines since 2016. This most recent contract brings a next generation version to soldiers and could become a common squad-level sensor across infantry units. The nano-drone, which has GPS-guided autopilot, will support platoon- and small unit-level surveillance and reconnaissance capabilities as part of the Soldier Borne Sensor program, according to a FLIR release. This is how a SEAL operator would dress up a FLIR Black Hornet nanodrone. Clint Emerson and Weston Scott check out FLIR's Black Hornet micro-sized surveillance drone. The company states that the mini-drone “bridges the gap between aerial and ground-based sensors,” and it offers the same situational awareness as larger drones and the “threat location capabilities” of unmanned ground vehicles. “The United States Army’s selection of FLIR to provide the Black Hornet PRS in this initial delivery of the Soldier Borne Sensor program represents a key opportunity to provide soldiers in every U.S. Army squad a critical advantage on the modern battlefield,” James Cannon, president and CEO of FLIR Systems, told Army Times in mid-2018. At that time, the sensor systems program had purchased a batch of the mini-drones for testing. The recent announcement expands the program across the Army. The exact number of drone systems $40 million will buy was not available, but publicly reported figures suggest that could purchase as many as 1,000 drones. What wasn’t clear in the release was the version of drone that the Army bought. Army Rapid Equipping Force officials told Army Times last year that a newer version of the Black Hornet used in Iraq and Afghanistan by dismounted soldiers for the past two years will be nearly twice the size of the current drone, which weighs just 18 grams. The increased size will allow the new version to carry payloads, though officials did not disclose what types of payloads. Sgt. 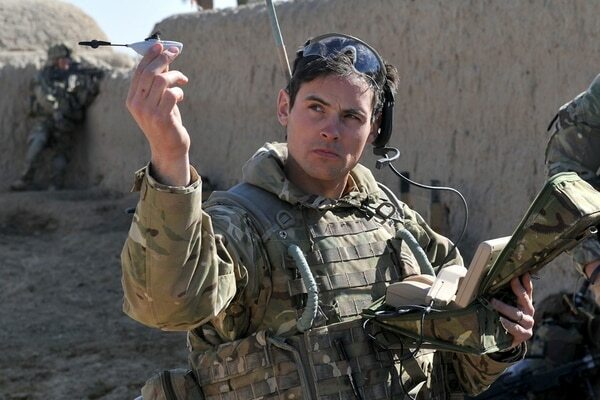 Scott Weaver of The Queens Royal Lancers launches a Black Hornet nano UAV from a compound in Afghanistan during Operation QALB.